Virtual webcam test or mirror for any computer, phone, or laptop. Have fun with our virtual online camera test using photos filters & effects. 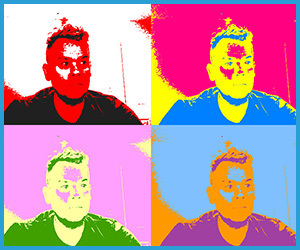 Turncameraon.net allows you to activate your webcam anytime and view and capture your image putting cool retro vintage washes on your selfie. Turning on your webcam can be a pain. You don't need to be a tech person to test and simply turn on your web camera on to see yourself. It's great to see how you, your office or backdrop looks before you het on that important virtual meeting on Skype. This tool also includes some fun filters and effects so you can do a ton more than just test your webcam. Turning on your webcam on and check this it works properly. Check and fix your makeup, hair or skin using it as a virtual mirror. Get ready for that virtual meeting by testing how you sound and look. 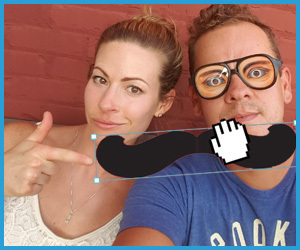 Edit and add fun effects and props to your existing photos or take a new one with your camera. Make sure you look fresh before you take that selfie with your webcam. Maybe you just want to goof off and make some funny faces online. We offer all the effects featured on your mac and then some. How do I start the online webcam? To turn the webcam on and test, click the button titled "Test Webcam & Stickers"
How can I test my webcam? My webcam is not showing? Please make sure there is not other program using your webcam. It might help to restart your machine and or programs like Skype that might be using your camera hardware.